e-Jan Kitchen is a monthly event at e-Jan in which a healthy dinner bento is provided for only 500 yen. The bentos are all handmade by a staff member at e-Jan, and every month are made in a different theme. The food is generally very healthy, which is a beneficial to many of the employees who live alone and/or cannot often cook balanced meals at home. Furthermore, there is the option to eat-in (to eat them in the refresh room shortly after they are brought into the office), take-out (to package them for transport home), or to leave it in the refrigerator to eat as lunch the following day. The atmosphere of the refresh room when everyone sits down to eat together is comfortable and friendly, with some people taking pictures of their food to upload to social media. The menu items are always in line with the theme, and the meticulous decorations and design of the food is so impressive, it feels almost wasteful to eat it! 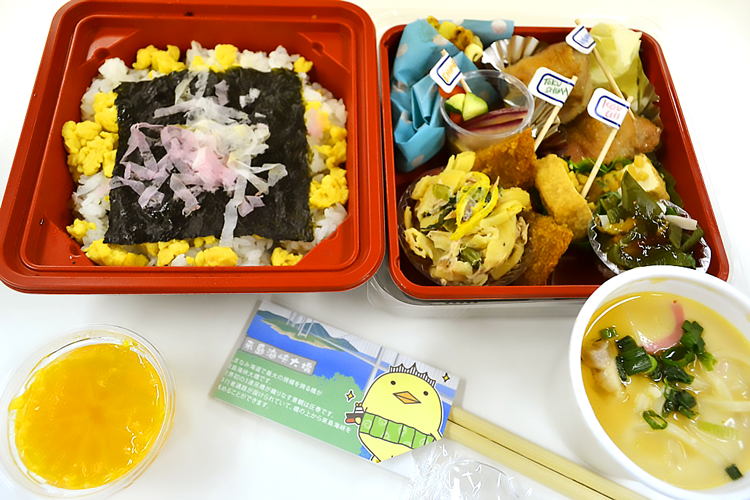 A part of a series featuring food from different regions of Japan, this bento had dishes and ingredients sourced from Kagawa, Tokushima, Ehime, and Kōchi. 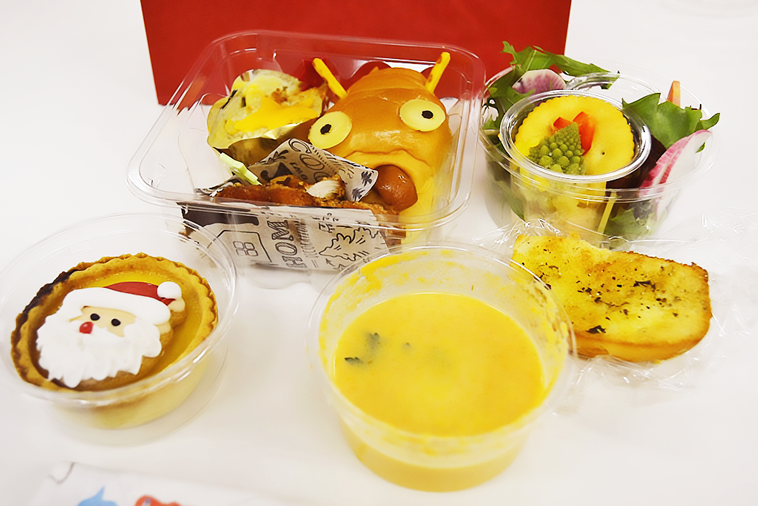 Each of the food in the nine pockets in this bento is made to resemble something spooky! 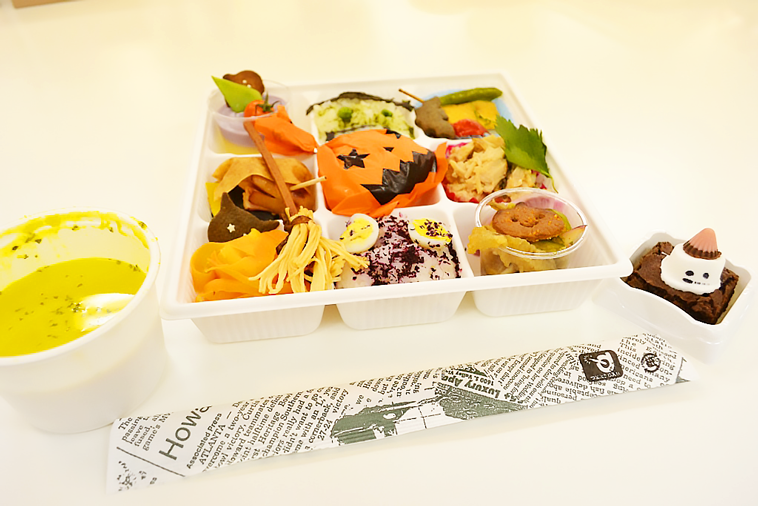 The cat, bat, pumpkin, and ghost veggie cookies, the witch’s broom made out of pretz and somen noodles, the ghost-shaped sausage, and the jack-o-lantern carrot-rice rice ball are all so charming! The reindeer sausage bread is most striking, but the Romanesco broccoli as a ‘Christmas tree’ and the cookie garnishing the mini-egg tart add even more seasonal flair. 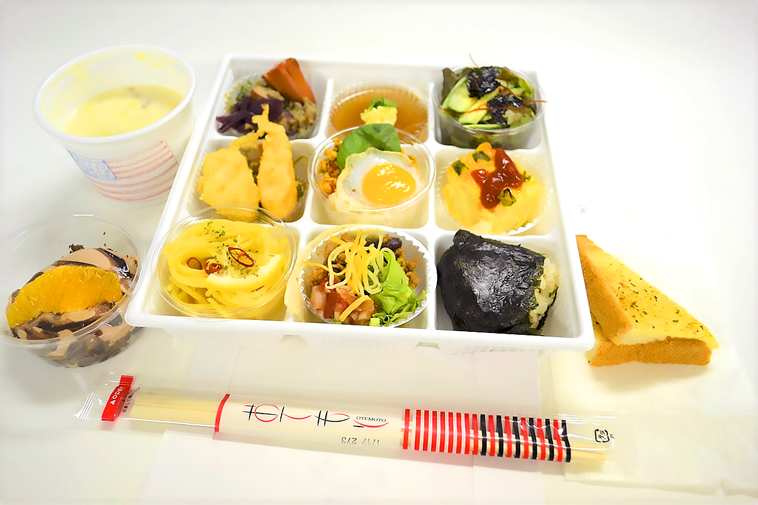 An ambitious undertaking, this bento had 11 different food items from 11 different countries, all contained within tiny cups. The counties represented were Thailand, Germany,l Italy, France, Korea, Spain, Mexico, China, Japan, United States, and England! The full gallery of e-Jan Kitchen bentos can be found on the e-Jan Networks’ Facebook photo gallery!